We’d love your help. Let us know what’s wrong with this preview of The Day the World Came to Town by Jim DeFede. Perfect for fans of the hit Broadway musical Come from Away. When 38 jetliners bound for the United States were forced to land at Gander International Airport in Canada by the closing of U.S. airspace on September 11, the population of this small town on Newfoundland Island swelled from 10,300 to nearly 17,000. The citizens of Gander met the stranded passengers with an over Perfect for fans of the hit Broadway musical Come from Away. When 38 jetliners bound for the United States were forced to land at Gander International Airport in Canada by the closing of U.S. airspace on September 11, the population of this small town on Newfoundland Island swelled from 10,300 to nearly 17,000. The citizens of Gander met the stranded passengers with an overwhelming display of friendship and goodwill. As the passengers stepped from the airplanes, exhausted, hungry and distraught after being held on board for nearly 24 hours while security checked all of the baggage, they were greeted with a feast prepared by the townspeople. Local bus drivers who had been on strike came off the picket lines to transport the passengers to the various shelters set up in local schools and churches. Linens and toiletries were bought and donated. A middle school provided showers, as well as access to computers, email, and televisions, allowing the passengers to stay in touch with family and follow the news. To ask other readers questions about The Day the World Came to Town, please sign up. Is this a good book for a book club? Joan Cavin Yes, it is a fabulous book for book club. My book club selected it last May and I will be leading the review of it at our March get together. What is A summary of the book and a list of characters? Everyone should read this book. No, seriously. DeFede is such a fantastic journalist and a fantastic writer. As someone who personally leans more toward fiction than nonfiction, I don't think I could have read this entire book without someone like DeFede weaving creativity and passion throughout the pages. A+ job, man. Aside from the fact that it was a quick and simple read (I read it in a matter of hours while sitting at my desk at work), the story itself is pretty damn unbelievable Oh. My. God. Aside from the fact that it was a quick and simple read (I read it in a matter of hours while sitting at my desk at work), the story itself is pretty damn unbelievable and SO inspirational. It almost feels as though it could be made into one of those made-for-TV movies that has you embarrassingly wiping tears away as you have to sternly remind yourself that it's just a movie and that the characters aren't real. The catch is this: it's a true goddamn story. And the characters are more real than you could ever hope for. Read as a Bookcrossing bookring. The only thing that kept me from rating this higher was the lack (?) of proofreading and fact checking. I can only assume that since this was published days before the one year anniversary of the 9/11 attacks on America that there was a rush to get this on the booksellers' shelves. - the author discusses the Gander tragedy that occurred in December 1985. This involved the members of the 101st Airborne, headquarter Read as a Bookcrossing bookring. - the author discusses the Gander tragedy that occurred in December 1985. This involved the members of the 101st Airborne, headquartered since the 40s at Fort Campbell, Kentucky. How do I know? Well, I work at Fort Campbell. It sits on the Tennessee-Kentucky border. I pass the Gander memorial on Ft Campbell. I see the Gander Memorial bridge on my way home. Every December there is a ceremony to honor these men. So when the author states that they were returning home to North Carolina for Christmas - I think not! - the author states that a person needs a prescription to obtain nicotine patches in the US but that they are OTC (over the counter) in Canada. Not so. I am a pharmacist. They are OTC and have been OTC in the US since 1999. - the author also spoke of the problems with identifying drugs and named a drug called Atenol, a blood pressure medication. There is no drug called Atenol in either Canada or the US - it's called Atenolol. A quick search of my database found that only Italy and Brazil call it Atenol. - the author spoke of Boze headphones they'd taken from the plane; if these are the ones I'm thinking of, the company is called Bose, not Boze. - the author also speaks of a warrant officer school in Dothan, Alabama at a Fort Rutger - wrong! The Army post is called Fort RUCKER. All in all, it speaks of sloppy work and if this is what I see, how much don't I see? Ok, now that I am off my rant. I liked this book - I liked it a lot. The story was heart-warming and needed to be told. When the terrorists attacked America, this small corner of Canada opened their hearts to folks that had been displaced. A town that numbered only about 10,000 took in over 6,000 people of all backgrounds and nationalities and welcomed them and made them feel a part of their community. Against the backdrop of the horrible terrorist attacks, it was important to see that people could be good and kind. Gander is the Mayberry of Canada - a place where people don't lock their doors and welcome total strangers into their homes to rest or take a shower or have a cup of tea. The general that was mentioned in the book came from US European Command in Stuttgart, Germany. My husband's last assignment before retiring was at USEUCOM in Stuttgart. We were stationed there from 1992 to 1994. The general mentions later in the book that she counted several friends among the dead at the Pentagon, including Lt Gen Timothy Maude, the highest ranking officer killed on 9/11. General Maude was my husband's commanding general at US EUCOM while we were stationed in Germany. He truly cared for the men and women under his command and his marker at Arlington reads "He took care of soldiers". I am sure he would think there was no higher praise. What a wonderful book that tells the story of the town of Gander, Newfoundland when over 30 planes were diverted to this remote area on 9/11. The book garners these stars not so much for the quality of the writing, but rather for the people and acts of humanity that town provided to over 6,000 passengers and crew that were forced to land there when US airspace was closed. We follow a few main passengers, a lot of the townfolk and a whole lot of compassion that this area of Canada was able to giv What a wonderful book that tells the story of the town of Gander, Newfoundland when over 30 planes were diverted to this remote area on 9/11. The book garners these stars not so much for the quality of the writing, but rather for the people and acts of humanity that town provided to over 6,000 passengers and crew that were forced to land there when US airspace was closed. We follow a few main passengers, a lot of the townfolk and a whole lot of compassion that this area of Canada was able to give (at no cost) to these unfortunate people whose lives were put on hold that day and for almost 6 days thereafter. It is a quick read and I wish there was even a more recent update as to the people involved and the friendships that were made both among the passengers, as well as among those kind kind people of Newfoundland. This is was humanity is all about, this is what makes us have faith in society. It is not governments or corporations, but rather the acts of kindness and love that were displayed at a time of great distress and how so few people could touch the lives of so very many passengers. Okay, let me give the consumer warning up front--do not attempt to read this book without a box of Kleenex on standby. There. Got it? Good. I saw Come From Away in NYC last month, the musical about the 38 planes that were diverted to Gander, Newfoundland on 9/11, and I immediately googled to see if there was a book about it. There is, this one, although it's missing some of the stories the playwrights found in their series of interviews on which they based the play (in particular the story of Cap Okay, let me give the consumer warning up front--do not attempt to read this book without a box of Kleenex on standby. There. Got it? Good. I saw Come From Away in NYC last month, the musical about the 38 planes that were diverted to Gander, Newfoundland on 9/11, and I immediately googled to see if there was a book about it. There is, this one, although it's missing some of the stories the playwrights found in their series of interviews on which they based the play (in particular the story of Captain Beverley Bass who is mentioned only in passing here. Bet DeFede was mad at himself for missing that.). It is still an amazing story, and you end it hoping that if your community is ever called upon in such a crisis that you and it will respond even half as well. The gist is this: The US instituted a full ground stop after the 9/11 attacks and refused to let any aircraft into the U.S. This meant that literally hundreds of airplanes already en route had to land somewhere else. 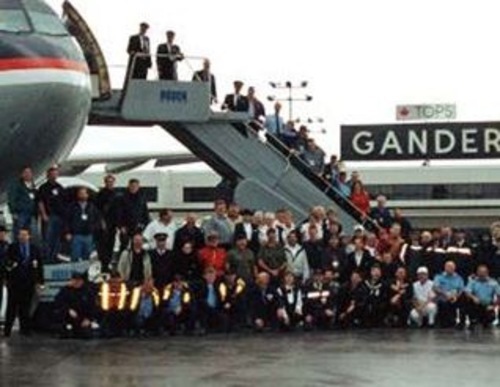 Thirty-eight aircraft landed in Gander with almost 7,000 people from 97 countries on board. Gander has a population of 10,000, and it sounds like every single citizen, along with the people of all the surrounding, much smaller towns as well, threw open the doors to the strandees. When I say doors I mean not only the emergency shelters put together at local churches and Salvation Army buildings and schools, I mean their own homes. The "plane people," as they were called by the locals ("Hey, are you the plane people?" Ganderites would shout out from their cars, and would immediately offer the walkers a ride to wherever they were going, Walmart, the pub, the Arrow Air memorial, which image is on the cover of this book) were offered the use of showers and shelters and beds and the kids got toys and the ones with birthdays while they were on the ground got a party and presents. Schools in every community were shut down so the plane people could use the showers and the kitchens and the computers and phones to call and email loved ones, most of whom had no idea where they were. Of course, some of the plane people didn't know where they were, either. A volunteer had taped a large map of the world to the wall and with a crude red marker drew an arrow pointing to Gander. YOU ARE HERE, the volunteer wrote on the map. Exhausted passengers would stop and stare at the map for several minutes, trying to regain their bearings. It wasn't just the people, it was the businesses, too. The local Kentucky Fried Chicken and Subway sandwich outlets, as well as the local pizza joints, sent carloads of food to the airport on Tuesday and Wednesday to help feed the passengers stranded on the planes...Newtel, the telephone company for Newfoundland, set up a long bank of tables on the sidewalk in front of its offices and filled them with telephones so passengers could make free long-distance phone calls to their families...Rogers Communications, which provides cable-television service to Gander and the surrounding area, made sure every shelter had cable television so the passengers could watch CNN and the other round-the-clock news stations. In the first twenty-four hours...filled more than a thousand prescriptions. All at no cost to the passengers. More stories like this one are on every single page. One stranded passenger told one of the Canadians "how wonderful everyone in town had been. It made her feel part of a family." We're all Americans tonight," replied McKeage. When thirty-eight jetliners bound for the United States were forced to land in Gander, Newfoundland, on September 11, 2001, due to the closing of United States airspace, the citizens of this small community and surrounding towns were called upon to care for the thousands of distraught travelers. The Day the World Came to Town records some of the remarkable but lesser known stories of 9/11 and shows how a community formed in the spirit of simple humanity does not exclude or reject people based on When thirty-eight jetliners bound for the United States were forced to land in Gander, Newfoundland, on September 11, 2001, due to the closing of United States airspace, the citizens of this small community and surrounding towns were called upon to care for the thousands of distraught travelers. The Day the World Came to Town records some of the remarkable but lesser known stories of 9/11 and shows how a community formed in the spirit of simple humanity does not exclude or reject people based on a fear of the unknown. While this is not the best book ever written, and I could criticise its style, lack of critical analysis, and lack of references, I feel these are tertiary issues. The main point and message of this book are what I feel should really be the focus of this particular review, and my personal hope is that people will remember the stories of hope and humanity in an age when media coverage seems to dwell on the atrocities committed by people against other people. Isn't is fab that acts of kindness require no justification or reason or motive? "For the better part of a week, nearly every man, woman, and child in Gander and the surrounding smaller towns - places with names like Gambo and Appleton and Lewisporte and Norris Arm - stopped what they were doing so they could help. They placed their lives on hold for a group of strangers and asked for nothing in return. They affirmed the basic goodness of man at a time when it was easy to doubt such humanity still existed. If the terrorists had hoped their attacks would reveal the weakness in western society, the events in Gander proved its strength." No one had to sell me on the character of the Newfies. I served with a good many since they join the military in numbers all out of proportion to what the population of their province might suggest. They do absolutely nothing to dispel the popular conception that Canadians are a bunch of amiable bumpkins. They are a breed apart, friendly and unpretentious, and their generosity in welcoming the passengers of diverted aircraft after the attack on the WTC is truly remarkable. Where others might hav No one had to sell me on the character of the Newfies. I served with a good many since they join the military in numbers all out of proportion to what the population of their province might suggest. They do absolutely nothing to dispel the popular conception that Canadians are a bunch of amiable bumpkins. They are a breed apart, friendly and unpretentious, and their generosity in welcoming the passengers of diverted aircraft after the attack on the WTC is truly remarkable. Where others might have sought to profit from the stranded passengers, the people of Gander threw open the stores and pantries to make the best of a bad situation. Jim DeFede's book is an easy read, chronicling the extent of Newfie generosity and outlining the plight of the passengers through several story lines following different stranded people through the ordeal. He provides some follow-up on these characters toward the end of the book. There are photographs of the principal characters, but in the copy I read these were small and grainy. When did the world get away from glossy pages for photographs? And why so small? The book reads something like a "Reader's Digest" story, truncated and a bit rushed, as I guess a human interest story would be. I can't read something like this without much shaking of the head at the human race. Imagine trying to run a disaster response in which much of the air traffic destined for the USA is suddenly dumped in your lap. Just picture the turmoil involved in sorting that mass of humanity out, when your top cop gets a call from a law enforcement agent in the states who wants you to find her sister and give her a hug! Or the woman who called a shelter on an hourly basis to see if her son was back yet. Feel good story of the decade! On 9/11, when the United States closed its airspace, the danger posed by the passengers, and the responsibility for their lives, was deflected to Canada. The stories from Gander are the best of human kindness. Jim DeFede has gathered the warmth, humor, pain, and generosity of a remarkable moment in history. *audible note: I enjoyed the steady, warm, male narrators voice: a dad's voice. It will remind you of the worst in mankind, but it will also introduce you to the best in mankind, and restore some of your faith in humanity, when you read about the citizens of Ganger, Newfoundland. The 9/11 disaster is history now, but it is the sort of history that is always with you if you lived through it. At the time it happened, I knew the airspace over the USA was closed, but it didn't really occur to me to wonder what happened to the planes that were too far into their flights to turn back. The USA feared there could be other terrorists on those incoming planes, so the flights were re-routed to our quiet, patient neighbors to the north. Yes, many of those planes landed in Canada. Th The 9/11 disaster is history now, but it is the sort of history that is always with you if you lived through it. At the time it happened, I knew the airspace over the USA was closed, but it didn't really occur to me to wonder what happened to the planes that were too far into their flights to turn back. The USA feared there could be other terrorists on those incoming planes, so the flights were re-routed to our quiet, patient neighbors to the north. Yes, many of those planes landed in Canada. This book is about the passengers on the planes which landed in Gander, Newfoundland. Gander was a very strategic airport during World War II, and was a major refueling station after the war for transatlantic flights, prior to the development of jets that could make the journey to Europe nonstop. If ever there were a story to give you some faith in mankind, it is this one. In the face of tragedy and man's inhumanity to man, you have this story of a whole town---indeed, several neighboring towns---opening their homes and hearts to complete strangers. It has confirmed my (limited) experience with Newfies: You couldn't find a nicer group of people on the planet. The author introduces the reader to a varied cast of characters, both passengers and townsfolk. In story after story, you just come away amazed at the selflessness of the Newfoundlanders. At the end of the book, which was published in 2002, I wondered what had become of those people now. It would be fun if there were some sort of update. For example, two of the families had just adopted very young children in Kazakhstan and were bringing the children home. Those kids would be teens now. I kind of wondered what their lives have been like. Another couple began a bit of a romance, meeting for the first time during their stay in Newfoundland. The fellow, a soldier, was then sent to Afghanistan. I wonder what became of them? You get the picture. All in all, if you need an uplifting book, this is it. This book was great! Made you feel that people really do care out there. If only each community could have this spirit......what a better place this world would be!! "For the better part of a week, nearly every man, woman, and child in Gander and the surrounding smaller towns stopped what they were doing so they could help. They placed their lives on hold for a group of strangers and asked for nothing in return. They affirmed the basic goodness of man at a time when it was easy to doubt such huma This book was great! Made you feel that people really do care out there. If only each community could have this spirit......what a better place this world would be!! "For the better part of a week, nearly every man, woman, and child in Gander and the surrounding smaller towns stopped what they were doing so they could help. They placed their lives on hold for a group of strangers and asked for nothing in return. They affirmed the basic goodness of man at a time when it was easy to doubt such humanity still existed." Roxanne and Clarke Loper were excited to be on their way home from a lengthy and exhausting trip to Kazakhstan, where they had adopted a daughter, when their plane suddenly changed course and they found themselves in Newfoundland. Hannah and Dennis O'Rourke, who had been on vacation in Ireland, were forced to receive updates by telephone on the search for their son Kevin, who was among the firefighters missing at the World Trade Center. George Vitale, a New York state trooper and head of the governor's security detail in New York City who was returning from a trip to Dublin, struggled to locate his sister Patty, who worked in the Twin Towers. A family of Russian immigrants, on their way to the Seattle area to begin a new life, dealt with the uncertainty of conditions in their future home. The book is poorly written and quickly became boring to me, but I did learn some things I did not know before. The reading group who chose the book mostly felt the same way and our discussion lasted about twenty minutes before it devolved into the usual these days: a discussion of our new President and how he is doing. But the book: On 9/11 right after the Twin Towers were hit, the United States closed its airspace. You may remember. I forgot that part. All aircraft headed for the US from other The book is poorly written and quickly became boring to me, but I did learn some things I did not know before. The reading group who chose the book mostly felt the same way and our discussion lasted about twenty minutes before it devolved into the usual these days: a discussion of our new President and how he is doing. But the book: On 9/11 right after the Twin Towers were hit, the United States closed its airspace. You may remember. I forgot that part. All aircraft headed for the US from other countries were forced either to turn back or land elsewhere. Thirty-eight jetliners were ordered to land in Gander, Newfoundland, requiring that small town of 10,000 people to play a Red Cross role for over 6000 travelers plus flight crew members. The book tells this story. According to Jim Defede, it all came off without a hitch, there was no violence or unpleasantness, all the townspeople and local businesses pitched in to shelter, feed, entertain and even provide medical assistance where needed. This went on for six days. If one can believe all this it is heartwarming in these these times of closed borders, burgeoning numbers of refugees, etc, etc. It was nice to contemplate that the world is made up of mostly nice people. The author chose to follow the stories of a select number of stranded passengers. You feel their individual troubles and anxieties but not enough to upset the reader too much. On the day that terrorists attacked the United States— September 11, 2001, four jetliners were hijacked and used as “weapons” to murder thousands of innocent people. At that time, the Federal Aviation Administration made an unprecedented decision to close U.S. airspace indefinitely. However, hundreds of aircraft were already in the air and bound for destinations in the U.S.
All of the incoming flights had to be diverted elsewhere. A total of 252 incoming flights were diverted to Canada. Canadian On the day that terrorists attacked the United States— September 11, 2001, four jetliners were hijacked and used as “weapons” to murder thousands of innocent people. At that time, the Federal Aviation Administration made an unprecedented decision to close U.S. airspace indefinitely. However, hundreds of aircraft were already in the air and bound for destinations in the U.S.
All of the incoming flights had to be diverted elsewhere. A total of 252 incoming flights were diverted to Canada. Canadian airports from Nova Scotia to British Columbia were suddenly inundated with unexpected flights. Among the airports chosen to receive planes was Gander, Newfoundland. Gander’s population was barely 10,000. On September 11, thirty eight planes carrying passengers and crew totaling 6,595 people descended on Gander. They would eventually end up staying there for nearly a week. I had a very interesting 2012 and one of the most interesting things—visiting Istanbul—turned into another unusual experience: our plane back had an engine die and we had an unplanned landing in Gander, Newfoundland. I was fascinated by the town and how a local industry was taking care of stranded travelers. One of the stories that came up several times from locals was about how the town had dealt with 9/11. When American airspace was shut down that day, 38 planes carrying 6,000 people had to lan I had a very interesting 2012 and one of the most interesting things—visiting Istanbul—turned into another unusual experience: our plane back had an engine die and we had an unplanned landing in Gander, Newfoundland. I was fascinated by the town and how a local industry was taking care of stranded travelers. One of the stories that came up several times from locals was about how the town had dealt with 9/11. When American airspace was shut down that day, 38 planes carrying 6,000 people had to land in this small town of 10,000 and stay there for several days. The Day the World Came to Town documents how the town rallied to take care of all those travelers. It's a little schmaltzy, and I have to wonder if some tensions and paranoia amongst the passengers are glossed over a bit, but it's a heart-warming story and a fast read. There's also a 45 minute piece hosted by Tom Browkaw that was broadcast during the 2010 Winter Olympics that covers the story (trigger warning: there's footage of the Towers falling and other scenes from New York that day). If you are looking for a feel good story, this is it!! I loved what this town did to help out some weary passengers during one of the scariest times in our history. f I started reading a book about 9/11 and a few pages into it found that an American General, a CEO of an international clothing conglomerate, several members of the board of a wealthy charity, an NYPD detective and parents of a firefighter who is lost in the World Trade Center were stuck in a small Canadian town in the middle of Newfoundland (not to mention a long-lost native son) I would have put the book away with a chuckle and started a new one. Nevertheless, this is not fiction and the even f I started reading a book about 9/11 and a few pages into it found that an American General, a CEO of an international clothing conglomerate, several members of the board of a wealthy charity, an NYPD detective and parents of a firefighter who is lost in the World Trade Center were stuck in a small Canadian town in the middle of Newfoundland (not to mention a long-lost native son) I would have put the book away with a chuckle and started a new one. Nevertheless, this is not fiction and the events really happen. Even though I really liked the book, and even recommended it to my beloved wife, there are several glaring omissions. First and foremost for me: there is no map. The author goes to great length to describe the geographical region as well as the Gander's street layout (which is supposed to be shaped like the head of a moose) - yet...no map? I find this to be unbelievable. Second, the writing seems more like a collection of articles than a finished book. That's fine and it didn't bother me that much but I thought I should mention it. Third, it would be nice to have appendices with a chart of the flights, departure, landings at Gander International Airport, etc. Fourth, I would have liked to see more pictures. Again, this does not take away from the book but would have been a nice addition. There are several pictures in the book but they are small and grainy (much like...a newspaper article). Fifth, where is the tourist info for Newfoundland? Come on guys, capitalize on this book. 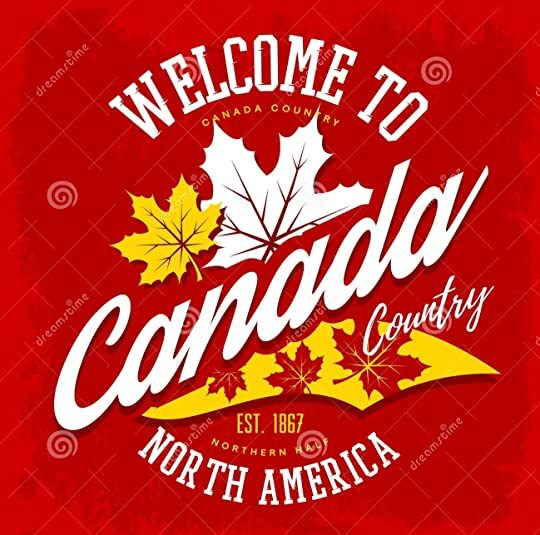 I've been to your area (but not Gander), it is a beautiful, gorgeous part of the world and true to the book - some of the nicest people in the world live there. The book has a great premise, another side of 9/11. However, I found the book redundant. I get it, I get it already. The town of Gander is filled with saints. I also found the story hard to follow at times. There were people that walked in and out of the story and it was difficult to keep them all straight. The story itself was difficult to follow. The book kept jumping from story to story to the point that I was loosing track of what day in the drama we were in. My review might be a little hars The book has a great premise, another side of 9/11. However, I found the book redundant. I get it, I get it already. The town of Gander is filled with saints. I also found the story hard to follow at times. There were people that walked in and out of the story and it was difficult to keep them all straight. The story itself was difficult to follow. The book kept jumping from story to story to the point that I was loosing track of what day in the drama we were in. This was a somewhat interesting story with amateurish writing. It should have been a long magazine article, not a book. It was padded with a lot of facts nobody cared about. This is the true story of the passengers of the 38 jetliners that were forced to land in Gander, Newfoundland on 9/11 when the US air space was closed and all planes were diverted away from the US. Jim DeFede tells an inspiring story of a community that opened their arms to all the passengers (including the animals in the planes) that could not return home. 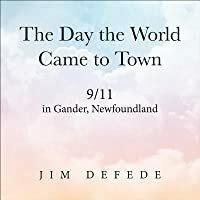 Though I distinctly remember 9/11 and that horrible day, I had never heard of the community of Gander, who truly countered the horribleness This is the true story of the passengers of the 38 jetliners that were forced to land in Gander, Newfoundland on 9/11 when the US air space was closed and all planes were diverted away from the US. Jim DeFede tells an inspiring story of a community that opened their arms to all the passengers (including the animals in the planes) that could not return home. 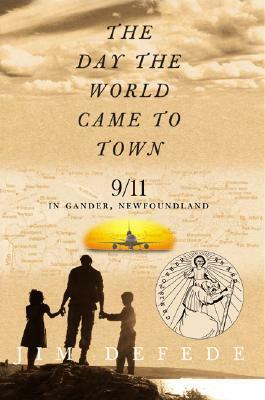 Though I distinctly remember 9/11 and that horrible day, I had never heard of the community of Gander, who truly countered the horribleness of that disaster-definitely a wonderful read and inspiration to others. A quick, feel- good read. Like many others, I became interested in this book after seeing Come From Away. It's pretty inspiring. A great read. It is amazing as so much hatred and fear were happening, a wonderful town opened their homes and hearts to many people from across the world. I have a friend who is from Gander and I can see where she got her kind heart. I surprised myself by really enjoying this book. It was't deep or intellectual, but it told an interesting story. We got a slice of many different passengers' lives- these 6000 plus people stranded in Gander , New foundling on September, 11th, and we got a wonderful introduction to the people of Gander and their amazing care taking of these passengers. Have you ever finished a book, clutched it to your chest, and spoken the words “WOW!” aloud. Well, if not, after you read this book, you will have this exact reaction. “The Day the World Came to Town” reminds us that despite of all the evil that exists in today’s society, there is hope. Good does exist! Media spends so much time focusing on all the bad in the world, that sometimes we fail to remember that for every evildoer there are 100s “good” doers. The premise of this book surrounds the even Have you ever finished a book, clutched it to your chest, and spoken the words “WOW!” aloud. Well, if not, after you read this book, you will have this exact reaction. “The Day the World Came to Town” reminds us that despite of all the evil that exists in today’s society, there is hope. Good does exist! Media spends so much time focusing on all the bad in the world, that sometimes we fail to remember that for every evildoer there are 100s “good” doers. The premise of this book surrounds the events of 9/11. Hundreds of airplanes had to make surprise landings as airports around the U.S. were forced to close in lieu of the events. One place that was impacted was a small town called Gander, Newfoundland. The whole town was impacted by the surprise landings of about 3 dozen planes. Schools and businesses closed to offer shelter for the stranded passengers and the local Wal-mart quickly ran out of stocked items as extra people bombarded the town. Yet, the town opened its arms to the hundreds of passengers. Citizens donated personal items to ensure the comfort of their “guests.” In fact, even bus drivers who were on strike when 9/11 occurred, put their own needs aside to come to the aid of hundreds of stranded passengers. More than that, the entire town was impacted by the events of 9/11 because they were touched directly by an event that occurred several thousands of miles away. Those who were alive on 9/11 will always remember where they were that day when they heard the news of the terrorist attacks. Although the acts of terror are despicable and incomprehensible, people everywhere pulled together in the spirit of kindness. So many of us will never truly grasp the small, random acts of kindness that occurred on that day, and this book recounts only one small chapter of those random acts. It is a touching and unforgettable story that truly celebrates the goodness of people. Also, it reminds us of how interconnected our world is, and that all events impact everyone regardless of geography. In one shelter people from over 40 countries were represented. People who may have never taken the time to get to know one another were forced to in this dreadful situation, yet they learned from one another. As one Gander citizen said, “We are ALL Americans today.” What an amazing sentiment and one that we all need to remember. Regardless of our natural borders, we are all human beings and we should not let prejudices or misconceptions get in our way. I've been spoiled. This book SHOULD have been written by Laura Hillenbrand. Now THAT would have received 5 stars. As it was, the author could well have just taken everything he had to say and put it into a nice lengthy magazine article. I found almost no one to identify with. Sure the Newfies gladly took in 6600 grounded travelers on 9/11. Sure some of them were diplomats and parents returning home with newly adopted babies. Sure they made friends with each other. But was that all???? ?